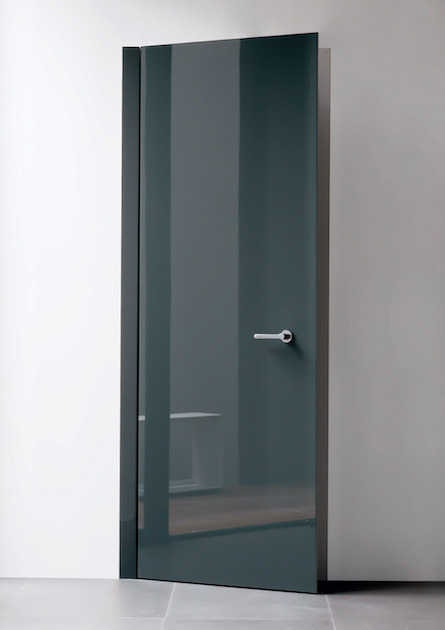 Level swing door Albed Italy. 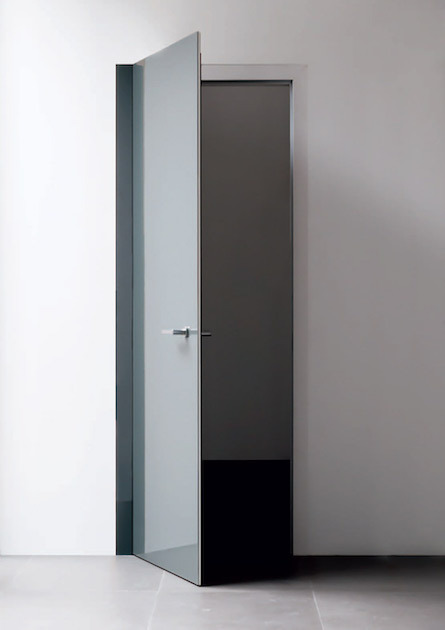 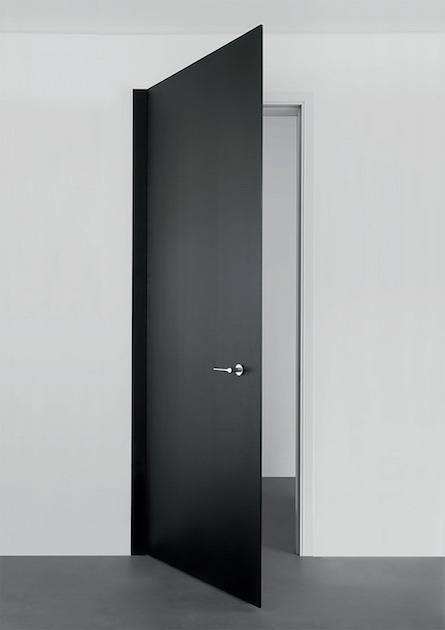 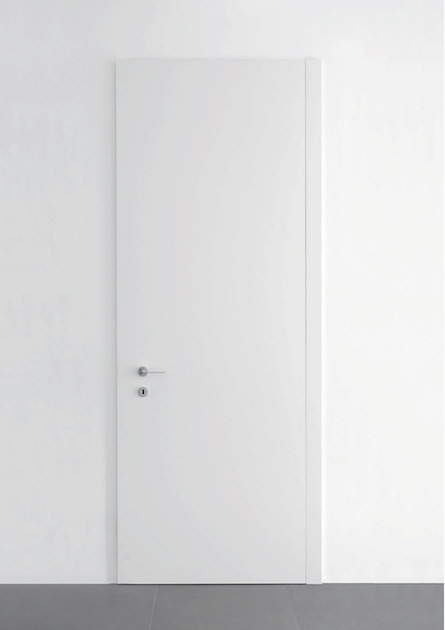 LEVEL Swing door.The LEVEL hinged door, with very basic and special feature that makes it unique, when it is closed the frame is completely covered by the panel, thanks to the cooperation with the designer Paolo Cappello and ALBED. 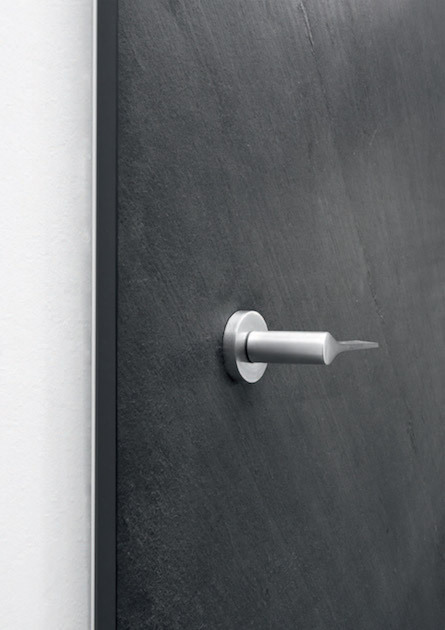 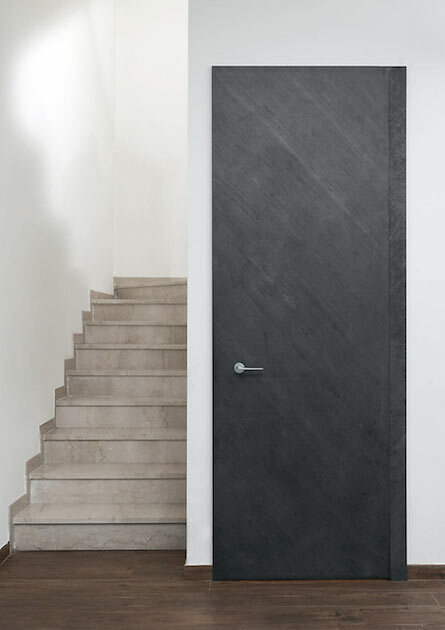 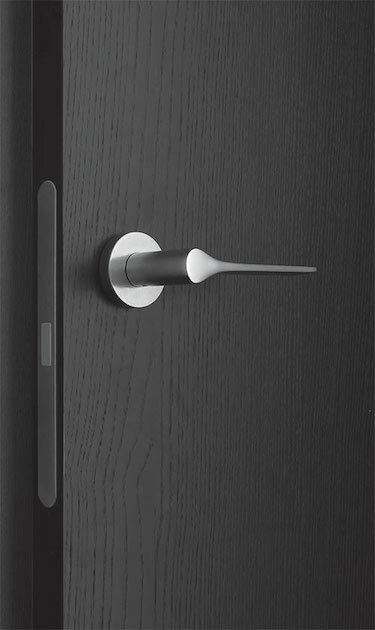 The created effect is of a door with a very thin thickness that looks like a surface placed on the wall. 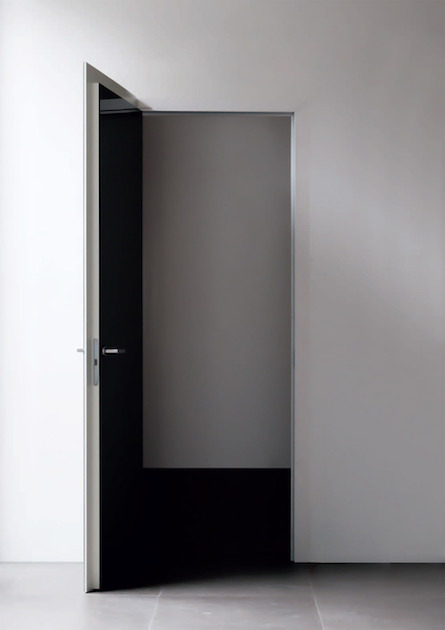 When the door opens, note that the panel has two different heights, the external and higher side is used to cover the jamb.